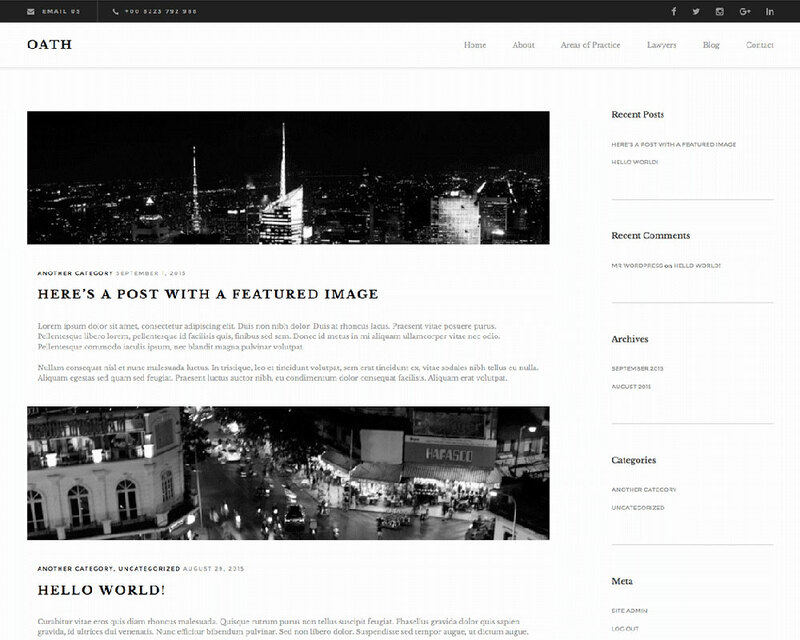 An elegant blog theme designed for lawyers and other professionals. Oath is a WordPress blog theme designed for lawyers and other professional service providers. The Oath theme has been submitted to WordPress.org and will hopefully be approved soon. We will update this page with download and demo links if and when it is approved. Note that this will be a free theme. The “Pro” purchase button gives you access to priority email support and our premium themes, but no purchase will be necessary to simply use the Oath theme. Oath is a free theme. Please only purchase the Theme Club membership if you want our paid themes too.